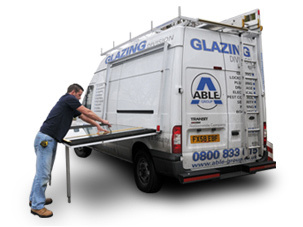 The Able Group specialises in providing a fast response service with emergency glaziers in vast supply all over the UK. To enable us to provide these emergency services with a 30-90 minute response time* and no call out charge we have a network of glazier branches covering almost every area needed in the UK. Below we have provided the areas we cover by county with local phone number and address for each branch in thier local towns.